18 year-old athlete Guilanna Pino might have the chance to fulfill her biggest dream later this month – to become the very first Ecuadorean to compete in an international competition for gymnastics, an ambition that she’s been striving for more than a decade. Her aspiration of achieving a historical feat for her country doesn’t just end there. She also aims to represent her country in the 2016 Rio Olympic Games, and thus making a new mark in the Ecuador’s sports history. Pino began participating in gymnastics classes since she was 7 years old. “When I was 13 years old, I told myself, ‘I want to do this’,” Pino said while telling about the moment when she started being committed to her rigorous training routine, which gave her the opportunity to reach the elite level in gymnastics. Since then, she started participating in various state-wide and regional competitions, winning in most of these competitions. Three years ago, she became a part of the Ecuadorean National Team and began representing her country in international competitions. This year, she participated in the competitions in Croatia and Portugal, almost making it to the finals. Making it to the top of the competitive world of gymnastics hasn’t been an easy journey for the young gymnast. 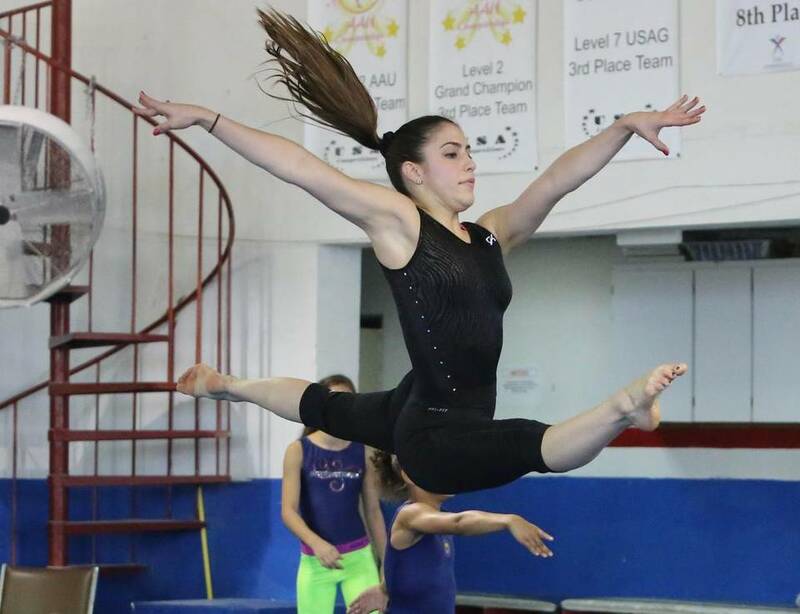 Apart from having to attend her high school classes every day, she is also required to train for 32 hours every week at the International Gymnastics Training Center located in Cutler Bay. She was coached by Fernando Veliz and Geovanis Santos. Veliz coached Cuba’s National gymnastics team for over twenty seven years, before departing during the 2014 Central American and Caribbean Games held in Veracruz, Mexico. He moved in Miami from Mexico last May. Both of the coaches believes that Pino has a great chance of grabbing one of the 41 available spots for the 2015 World Gymnastics Championships in Glasgow, which might serve as her qualifier for next year’s 2016 Rio Olympics. The 2015 World Artistic Gymnastics Championships will be held from Oct. 23- Nov. 1, where in 230 gymnasts from various countries are expected to participate. As of now, Pino is currently going through one of the most rigorous training sessions as she prepares for the World Championships. At the moment, she’s trying to refine her gymnastics skills and polish her routines in the four different artistic disciplines; uneven bars, balance beam, floor and vault. Perhaps the hardest part of her preparation is the mental part, since the allowance for error is very limited in routines such as balance bar, which measures only four inches in length. For that reason, Pino often consult Jason Scott Hamilton, a renowned clinical psychologist who has also worked with other athletes including Usain Bolt, the world’s fastest person ever. The unending love and support of her family was also a significant factor that supports her mental strength. Currently, Pino focuses on her short-term goals but she is also preparing for the future. Being able to contribute to her country through sports is what she desires. “I would like to have my own gym and have a space where I can take athletes and provide opportunities for girls who come from low-income families,” she said. Stay in touch with the most recent news and updates in connection with ballet and gymnastics by liking and visiting the official Facebook Page of Bianka Panova Academy. Visit the official website of Bianka Panova Academy and grab the opportunity of learning gymnastics for kids in a top-class school that provides its students with quality training and education.